As you might have guessed from the name, Ethera is meant to sound ethereal, and it can’t be denied that Clara Sorace, whose vocal performances were sampled to create this 3.4GB library, definitely leans more towards Enya than Aretha. The instrument created from Clara’s recordings is presented as a collection of Kontakt interfaces, which enable the user to build choral pads and distinct articulations using both staccato and legato phrasing. 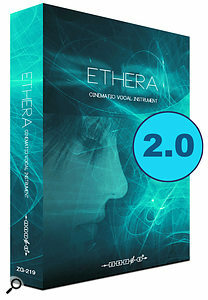 Version One of Ethera offered some of these features, but this second version adds a gigabyte of samples, more legato and polyphonic phrases, extra pad patches, and a number of interfaces that do things like play samples in reverse and allow the user to build long phrases out of a sequence of phonems and edit their relative levels. The minimal design common to all the interfaces, featuring a pale image of a contemplative Clara Sorace and a distant tree, is simple compared to some Kontakt control panels, but there’s still plenty of editing that can be done. The Ethera Legato.NKI interface, for example, offers Ah and Oh phrases performed in legato and staccato. Once one of these phrases is selected, it can be manipulated using a set of dials that alter its attack, playback start, release time and release volume, vibrato, pan and overall volume. Elsewhere, there are buttons for turning on/off true and/or simulated legato, the sample release playback and double-tracking. The Phrases interface is more complex still, providing a massive list of options and extra dials for things like altering pitch, sync’ing the samples to the host tempo and offsetting their start points. In contrast, Ethera Pads.NKI is very simple and has no knobs or buttons at all. However, it does include a larger options menu than the Legato interface and its samples are spread over a greater portion of the keyboard. For me, the Pads interface works extremely well (although I noticed some strange fizz sounds that I suspect are something to do with the looping algorithm). After playing a few of the Pads keys, I found myself trying to pastiche the haunting choral section at the end of Lou Reed’s song ‘The Bed’, and got a satisfying result very quickly. Much of Ethera’s content is broadly classical in style, but some of the special-effects patches could be used for contemporary dance tracks, and I even detected a touch of soul here and there, so there’s plenty to explore amongst the interfaces. By default, most patches are drenched in reverb and delay (for that ethereal feel, of course), and treated to processes like EQ and compression, but some or all of the above can be turned off (or even turned up), on the FX Rack tab. Us humans are very attuned to the subtle nuances of the voice, so whenever there is editing, looping, stretching or tuning, we are likely to notice it, unless it is done very carefully. 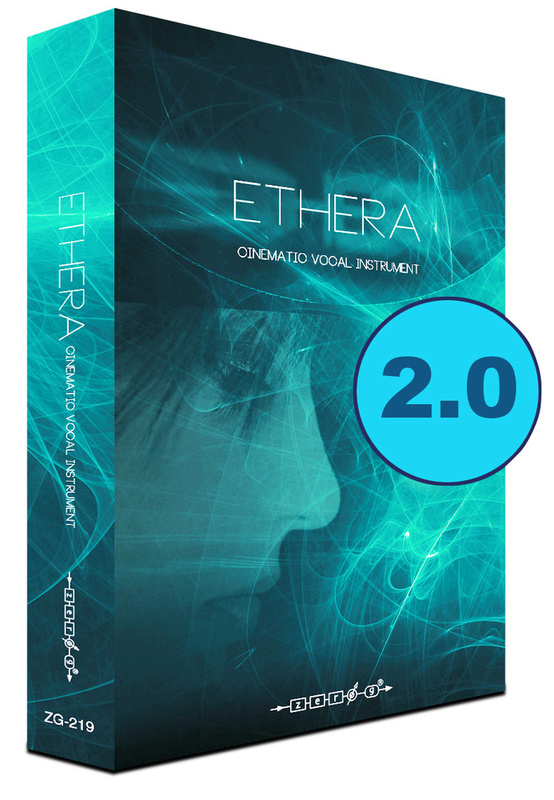 Ethera can sound very artificial, which is great for highly processed dance music, pop and hip-hop styles, but it can also be made to sound like a bespoke studio recording when played with care and consideration. I can see myself using it in both ways.